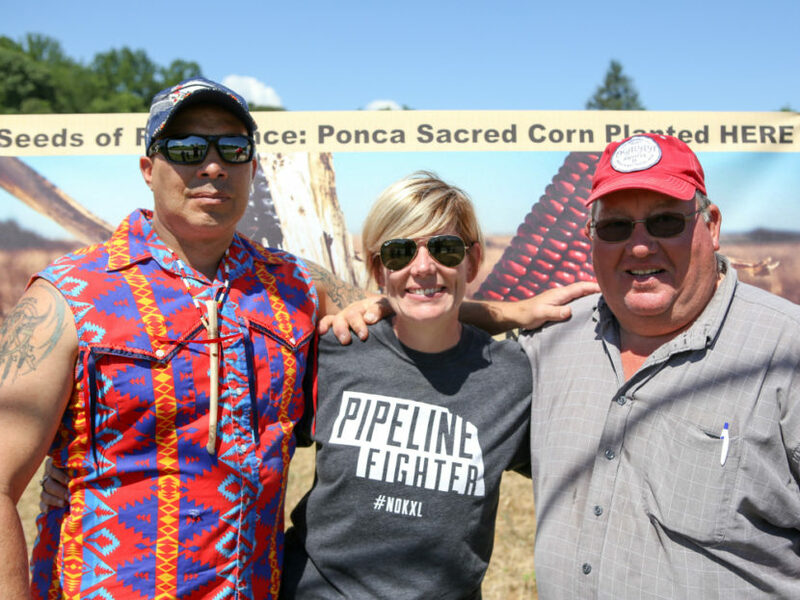 Pipeline Fighters and the “Cowboy & Indian Alliance” of farmers, ranchers and Tribal Nations that formed to oppose the Keystone XL pipeline gathered in 2014 to plant the first Ponca sacred corn “Seeds of Resistance” in the path of the proposed pipeline. 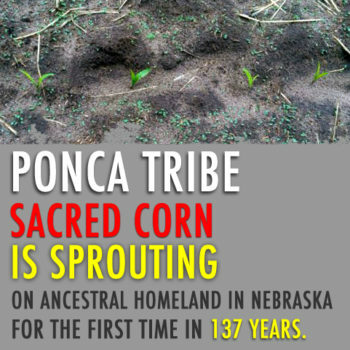 The first planting of “Seeds of Resistance” returned the Ponca’s sacred corn to the tribe’s ancestral homeland in Nebraska — after a 137-year absence following the tribe’s forced removal from the state. The Ponca corn will be planted for the fourth consecutive year in the spring of 2017 on the farm of Art & Helen Tanderup. The Tanderup farm hosted the “Harvest the Hope” Stop Keystone XL benefit concert featuring headliners Neil Young and Willie Nelson, as well as two massive #NOKXL crop art installations — on land that crosses both the historic Ponca Trail of Tears, and the proposed path of the Keystone XL pipeline that TransCanada is still suing over to get U.S. taxpayers on the hook for $15 billion in claimed losses. Click here for details and to sign up to help plant the sacred Ponca corn in Neligh, NE on June 10, 2018. In the summer of 2016, members of the Cowboy & Indian Alliance also traveled to meet landowners and Tribal Nations in Virginia and West Virginia and plant “Seeds of Resistance” on land that lies in the paths of the Atlantic Coast and Mountain Valley fracked gas pipelines. The Ponca sacred corn growing on the Tanderup farm in Neligh has been given USDA certification, and will continue to be planted and harvested to grow the bond of the Cowboy and Indian Alliance and spread more Seeds of Resistance to communities around the world. 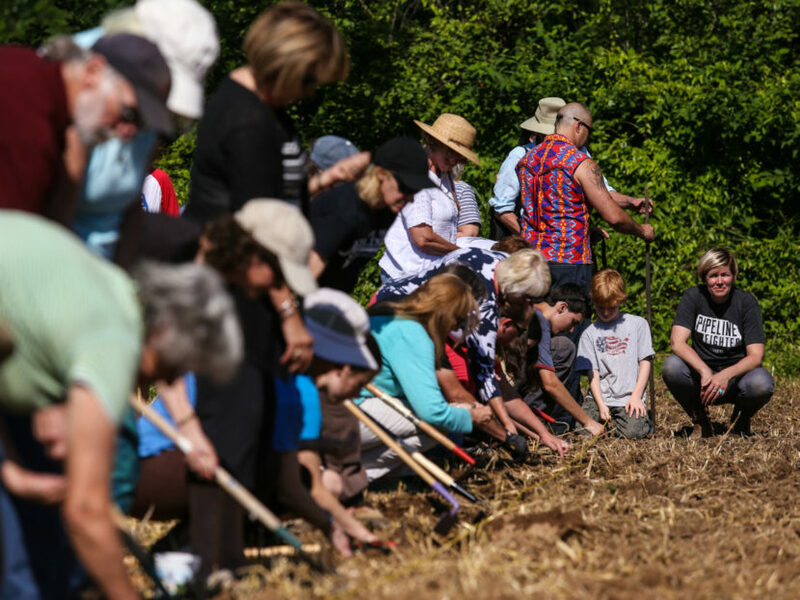 Pipeline Fighters plant sacred Ponca corn on land directly in the paths of the Atlantic Coast and Mountain Valley fracked gas pipelines during the “Seeds of Resistance” tour in 2016. Join us on May 21, 2017 in Neligh, NE to plant this year’s fourth consecutive crop of sacred Ponca corn on the Tanderup Farm. Click here for details and to RSVP. 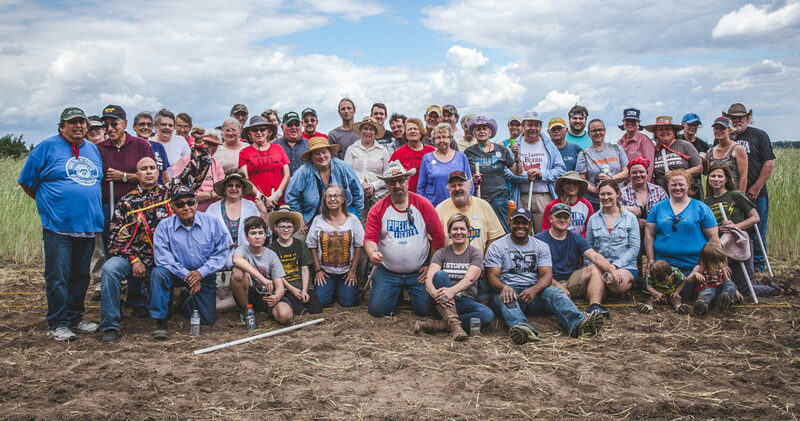 The 3.5 acres of sacred Ponca corn planted in Neligh, NE was certified by the USDA, and with the land now protected from Keystone XL, the corn planting and harvests continue to help propagate more Seeds of Resistance. Together our families will plant sacred Ponca corn seeds of resistance. As the corn grows it will stand strong for us, to help us protect and keep Mother Earth safe for our children, as we fight these battles against pipelines. 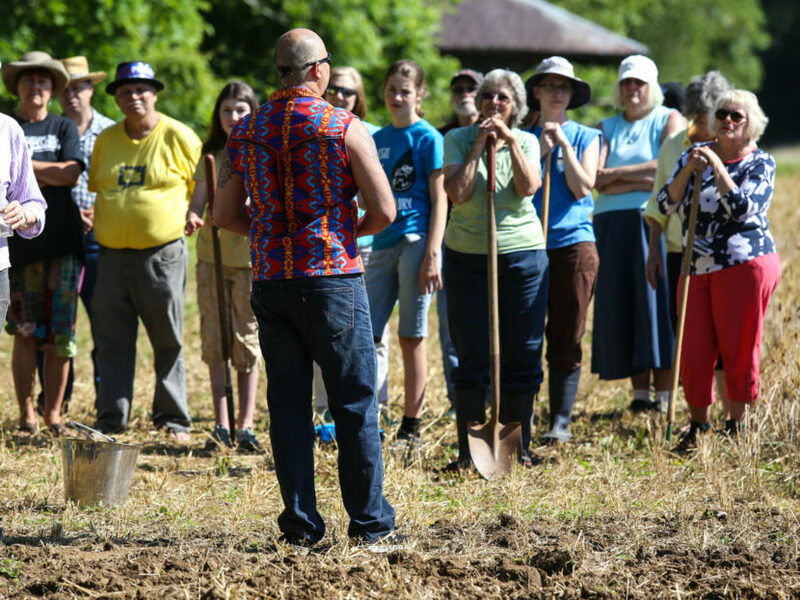 Mekasi Camp Horinek, Jane Kleeb and Art Tanderup during the 2016 “Seeds of Resistance” planting in Virginia and West Virginia. Bold Oklahoma coordinator Mekasi Camp Horinek explains the significance of the Ponca sacred corn planted in the path of Keystone XL during the “Seeds of Resistance” tour in Virginia and West Virginia.